Recent Victorian Education Department Ministerial Directive has required the posting of program content materials for SRI in Victoria to the public domain so that parents may overview the instruction program content. Instruction program materials will be posted on this website and to Religions for Peace Australia. These websites are maintained by Religions for Peace Australia. Bahá’í Children’s Classes (in State Schools) is a religious instruction program offered in government schools during the time allotted for religious representatives to instruct about their religion to students. The content and spirit of these classes reflect the teachings of the Founder of the Bahá’í Faith, Bahá’u’lláh. The Hindu Heritage Foundation of Victoria (HHFV) is offering Hindu Special Religious Instruction (SRI) classes in state primary schools since 2010. 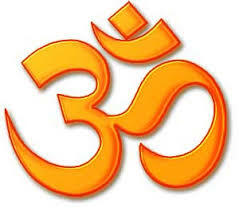 Hindu SRI is administered by the multifaith secretariat of Religions for Peace Australia. Religions for Peace Australia (RfP Australia) is contracted by the State of Victoria, through the offices of the Department of Education and Early Childhood Development (Department), to oversee the provision of Hindu religious instruction in government schools. The major aim of the Buddhist program is to provide the opportunity for Victorian children and their parents to choose Buddhist religious instruction. This program materials include the life of the Buddha, stories from the Buddha’s previous lives, the Buddha’s teachings, Buddhist Festivals, and of central importance the practice of meditation. It is one of the programs overseen by the Buddhist Council of Victoria (BCV). The program has been operating since 2004 and is managed by a committee of volunteers drawn from different Buddhist traditions and ethnic backgrounds. The program materials are non-sectarian and inclusive of all Buddhist traditions with the goal of introducing to primary children the basic values of Buddhism. Buddhist Religious Instruction is presently taught in country and Metropolitan schools in Victoria. More particulars can be found in the BCV website at www.bcv.org.au. The full resource manual Discovering Buddha is available for purchase. See bGIFTED. This program is run by the Sikh Interfaith Council of Victoria with the support of Religions for Peace Australia. The objective of this program is to impart Sikh religious teachings as an integral part of the moral education and character development of Sikh children. Students are given an introduction to the Sikh faith (its role in the family, in society and in self development and discipline); the ten Sikh Gurus and their important messages; Sikh scriptures; Sikh values and Worship both at home and in the Gurdwara. Volunteer teachers are drawn from the Sikh community and have registration with the Department of Education and the Sikh Interfaith Council of Victoria. Training for the teachers is provided by co-ordinators who are experienced in the field of education. 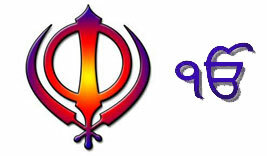 Sikhism is a monotheistic religion which believes in one omnipresent God. It promotes a holistic experience encompassing work, worship, service and family life.